How to Study the Bible: The Second Coming and Other Expositions by Isaac Massey Haldeman was originally published with the title Friday Night Papers. 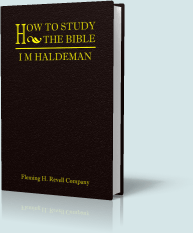 How to Study the Bible is a collection of studies, lessons, lectures, and addresses on many topics from the long ministry of I. M. Haldeman, pastor of First Baptist Church of New York City. This is the ninth edition of the book, much larger than the original edition published as "Friday Night Papers." The reader will find strong, logical teaching on topics such as the Church, the Advents of the Lord, the Holy Spirit, types and anti-types, the Sabbath, and expositions of several key passages of Scripture. Haldeman's address on the Holy Spirit (Chapter 3) and lesson on the Story of Joseph (Chapter 16) are especially excellent blessings for the Bible believing Christian. 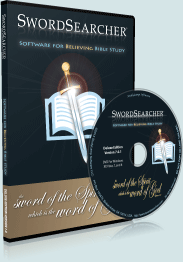 As with all books in the SwordSearcher library, How to Study the Bible can be read chapter-by-chapter, or can be searched instantly for words or phrases, and is indexed by verse reference.